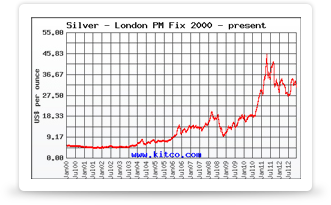 Shopping for silver bullion at coin shops is a great idea. While the rise in popularity of the internet has seen the number of online precious metals dealers grow on an almost continual basis, there is still plenty of good reasons to visit your local coin shop. Despite the merits of this approach to buying silver, there are some downsides to consider when deciding whether or not to use coins shops to make your purchase. To help you decide if this is the right method for you, we have laid out the pros and cons of using a coin shop to buy silver. One of the best reasons to choose a coin shop for finding silver to add to your collection is the knowledgeable staff you will find working in many stores of this kind. Often coin shops have been established for many years and their staff and owners will be very knowledgeable in all aspects of silver, gold and other precious metals. Not only will they sell coins with a numismatic or collectable value, but they will also be very experienced in the trade of bullion in all of its many forms. Helpful staff can make your shopping experience very enjoyable and informative so make sure you scout around for a shop that matches this description. Visiting a coin shop, in order to enquire about silver, is also a great way to find out what is happening in your local precious metals community. You can find out when coin shows are coming to town or any other useful information that might be relevant to you. You can also forge relationships with other collectors in your local area which is never a bad thing. Perhaps the biggest positive feature that coin shops have over their online rivals is the fact you can walk away with your purchase once you’ve paid your money. There is no waiting around for your delivery to arrive, or worse still, receiving an email that the item is actually out of stock, even after your order has been processed. Not having to wait or pay for delivery is one of the great advantages traditional coin shops have over shopping online. Coin shops are great for many reasons but like most things in life, they also have their downsides. One of the main reasons why people prefer to shop online is that often, prices are cheaper on the internet. Due to the overheads of running a store including hiring staff, brick and mortar coin shops often cannot compete with the prices listed online. However, it is worth remembering that delivery and insurance prices are not added to coin shop purchases. Another area coin shops cannot always compete with the online versions is on selection. When shopping online, you can easily visit many different dealers’ websites from the comfort of your own home. With a bit of searching, you should be able to find most coins or bullion for sale somewhere online. As in your local area, you might only have a few coin shops, if that, the amount of products on offer to you will be much smaller. As you can see there are number of good reasons to choose a coin shop and a few bad reason why you should look elsewhere to make your silver purchases. At the end of the day, it is up to you to investigate the coin shops that are local to you and compare them to the other options for buying silver, before deciding on which method you prefer.